23andMe is committed to General Data Protection Regulation (GDPR) compliance through our robust data privacy and security protections. You can read more about our compliance efforts on our dedicated GDPR page. We have developed several Exercise Your Rights guides to help you better understand our information practices and exercise your rights under GDPR for your 23andMe personal data. The GDPR applies to the processing of personal data of individuals who are in the European Union, where the processing activities are related to the offering of goods or services to individuals in the Union. For this reason, these guides are intended only for 23andMe customers based in an EU member state who purchased 23andMe Services marketed and sold in that member state. 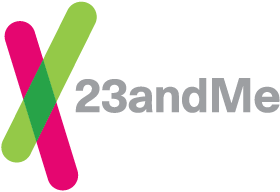 We have developed “Exercise Your Rights: The 23andMe guide” which provides a concise description of your rights under GDPR and how 23andMe supports them. You can review the full guide here. These guides are meant to help individuals located in the EU understand their personal data rights under the General Data Protection Regulation (GDPR) and provide an overview of some core components of our data handling practices. Each guide should be used for informational purposes only, and is not intended to provide you with legal advice. Please be sure to review our Full Privacy Statement. In the event of any inconsistency between these guides and the 23andMe Privacy Statement and/or Terms of Service, the provision contained in the Privacy Statement and/or Terms of Service shall control.